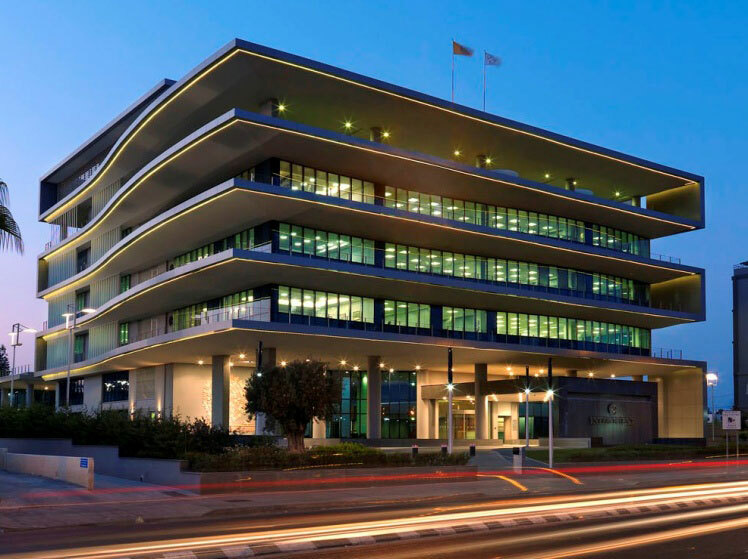 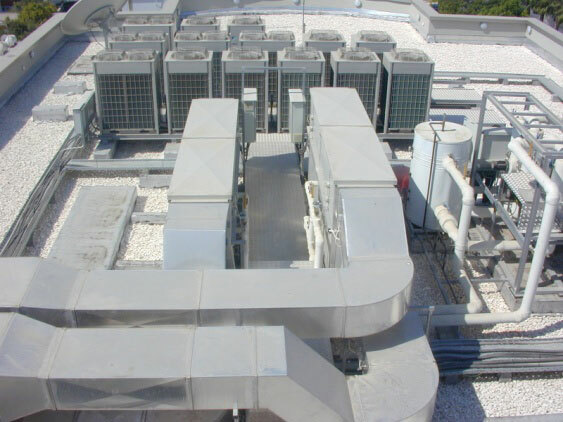 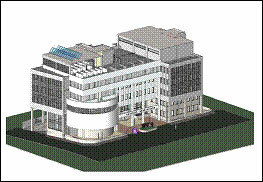 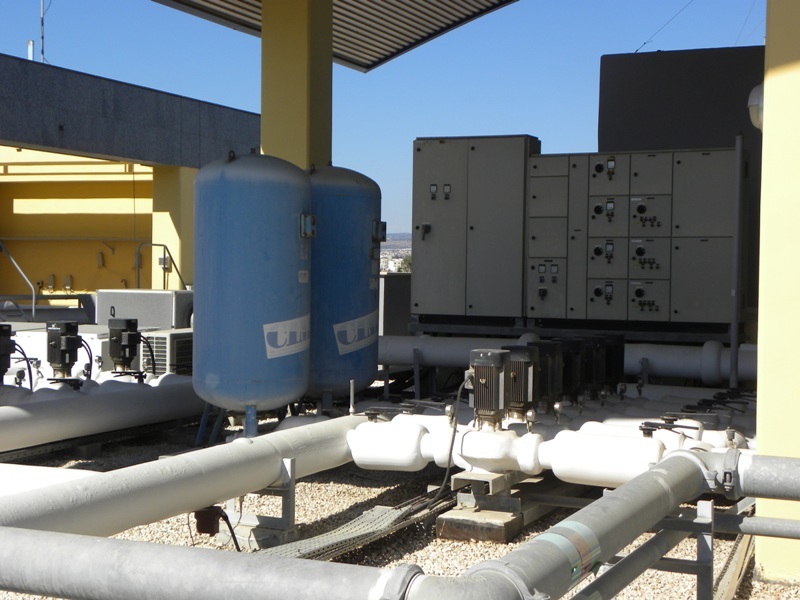 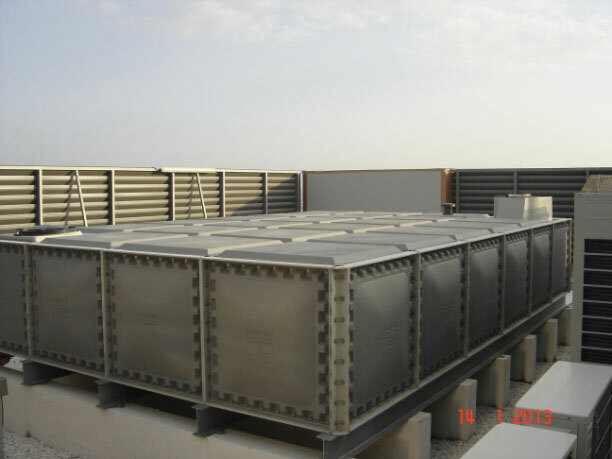 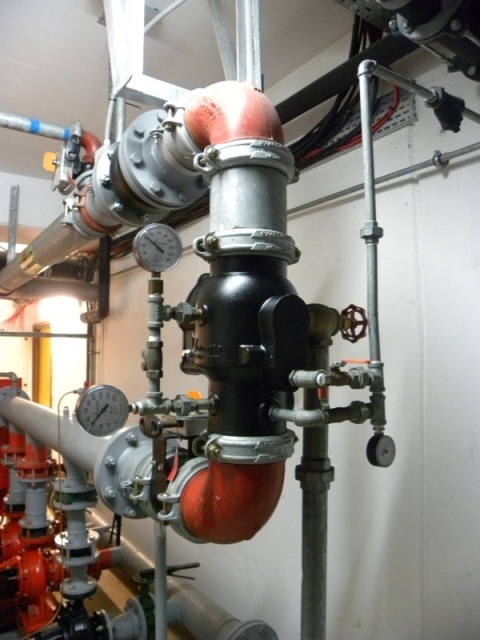 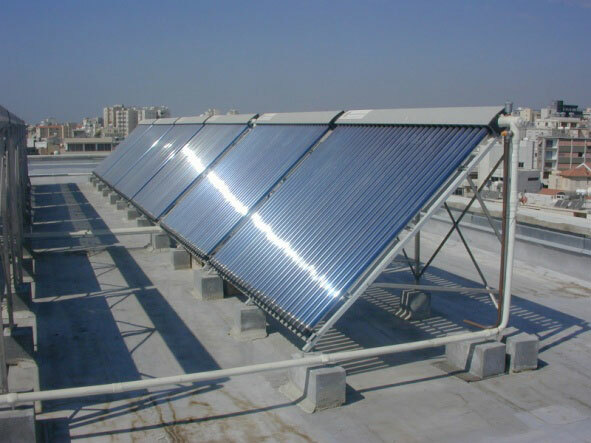 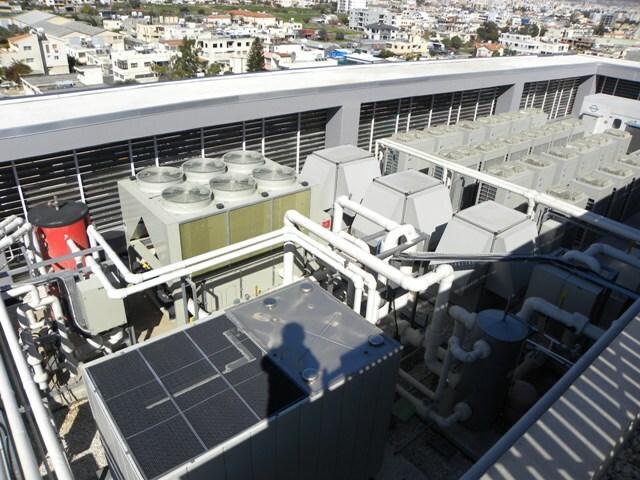 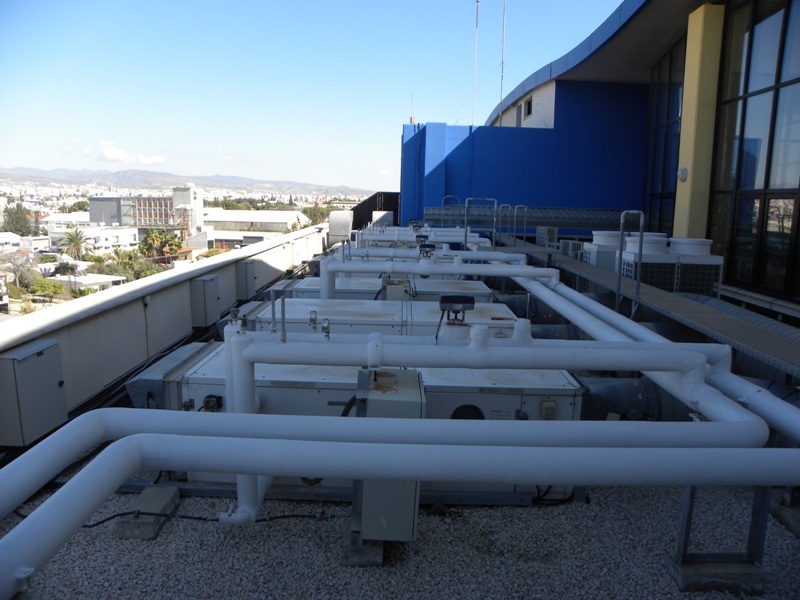 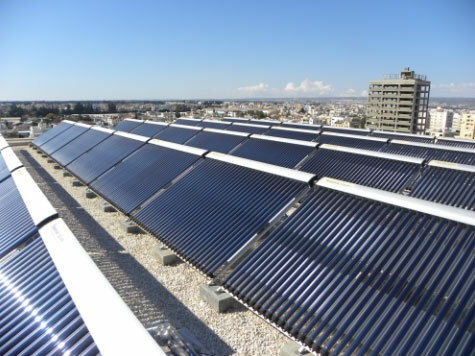 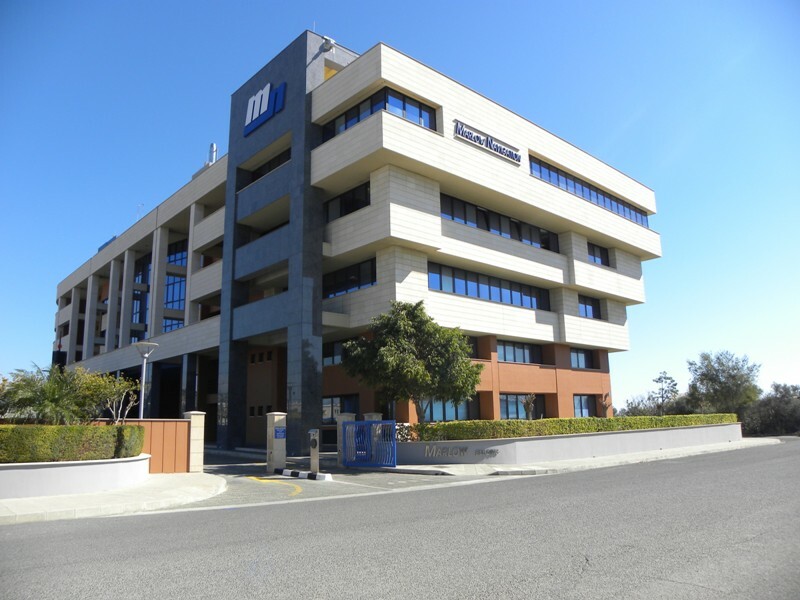 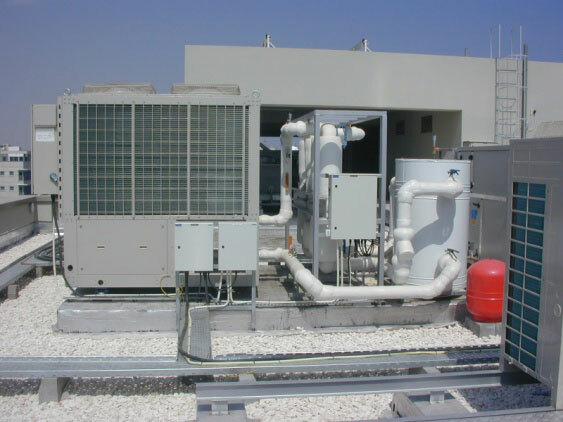 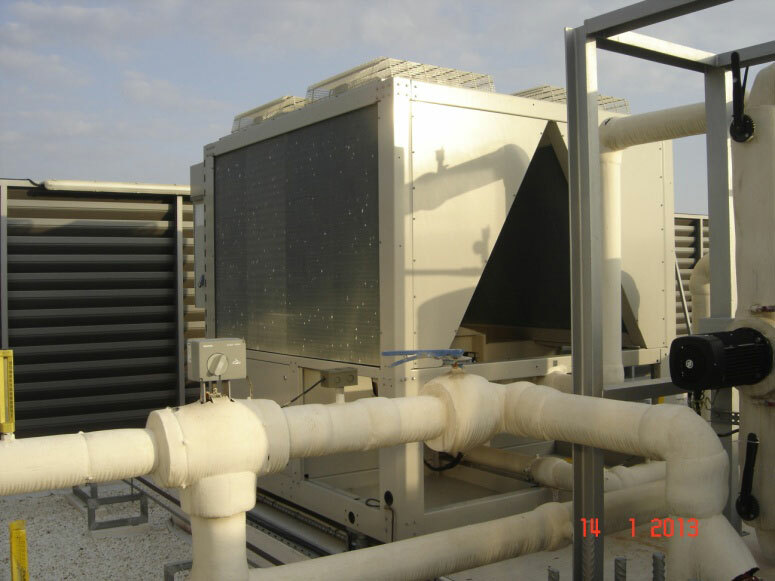 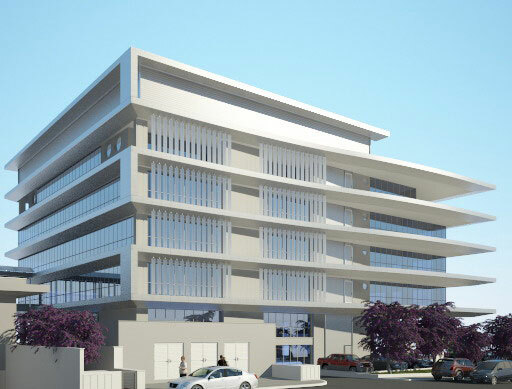 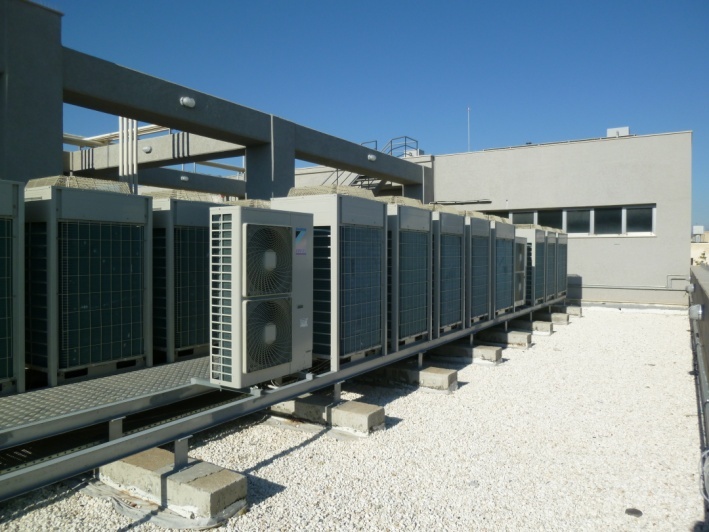 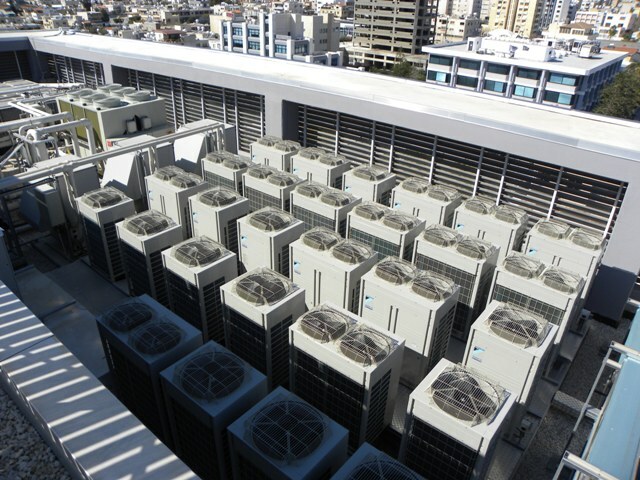 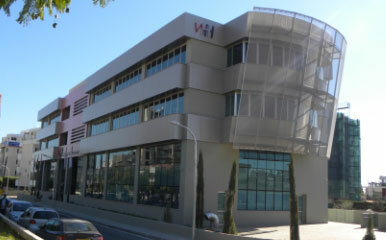 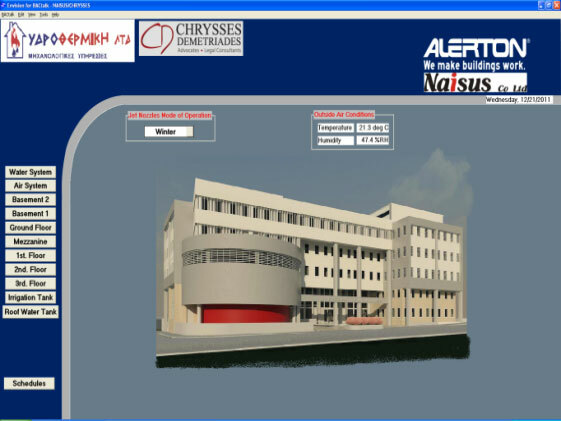 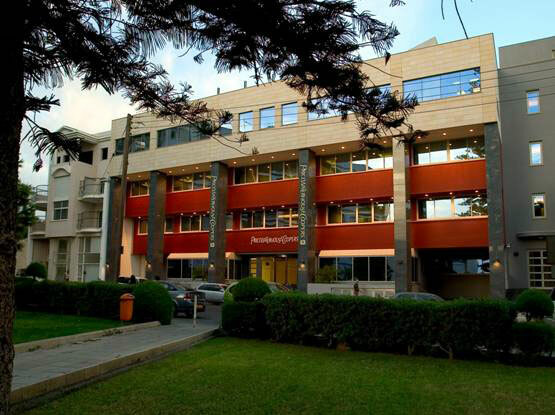 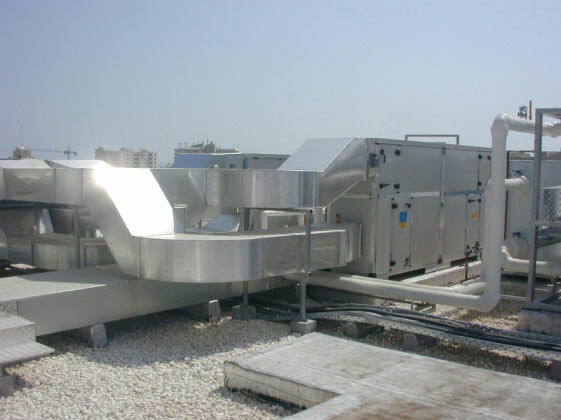 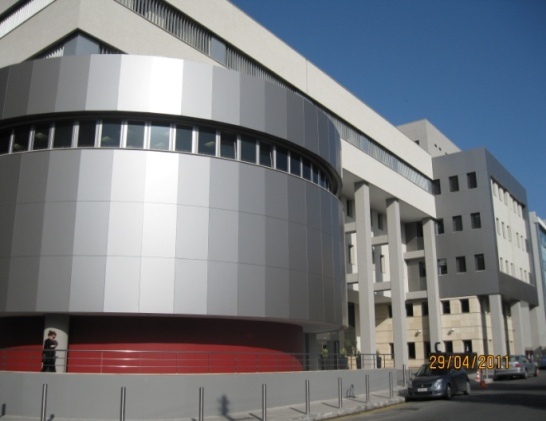 Generally 3-pipe VRV systems (heating/cooling) serve the office areas. 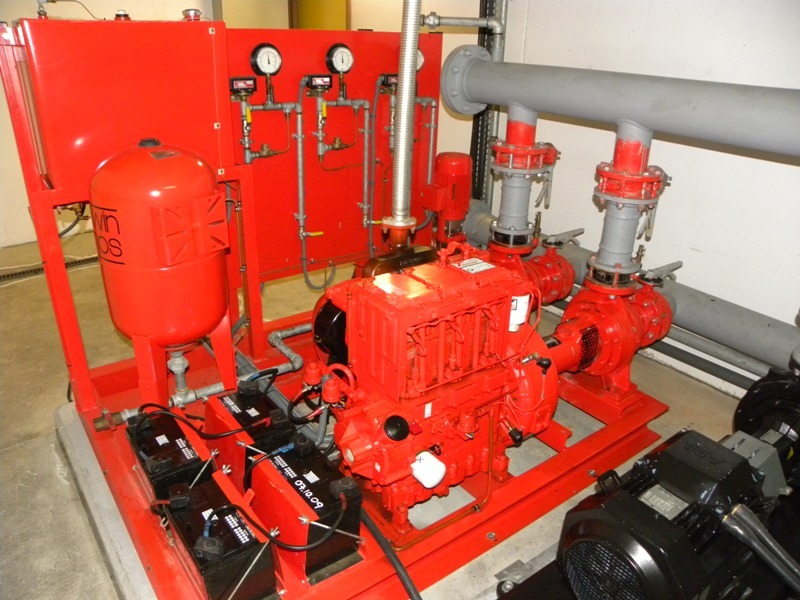 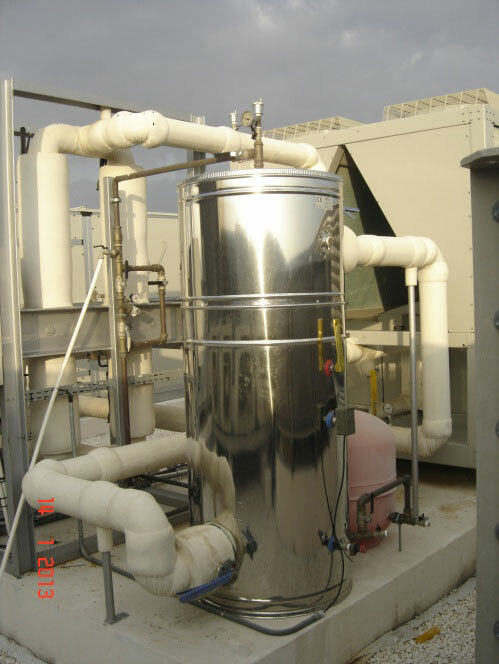 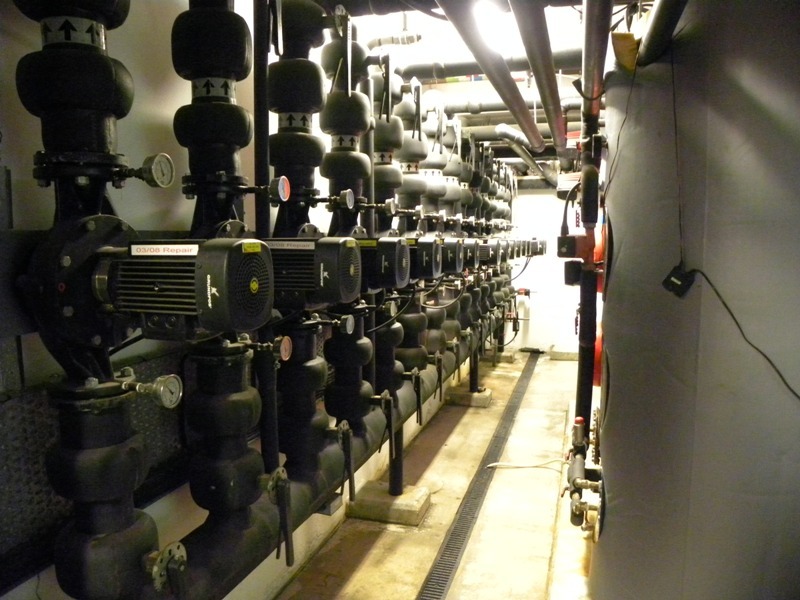 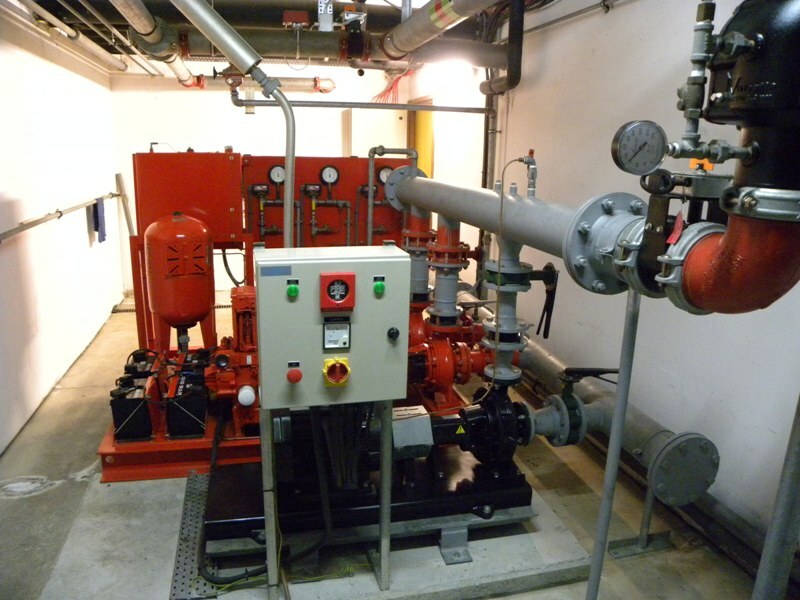 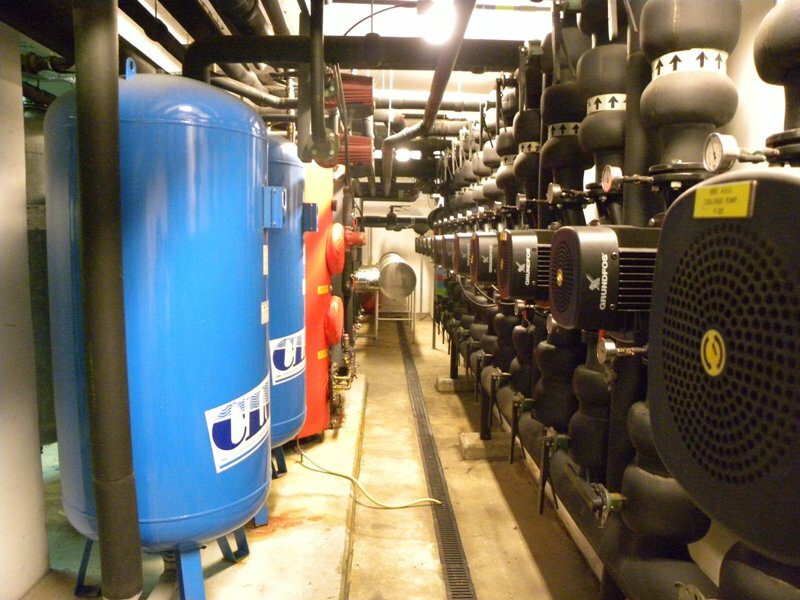 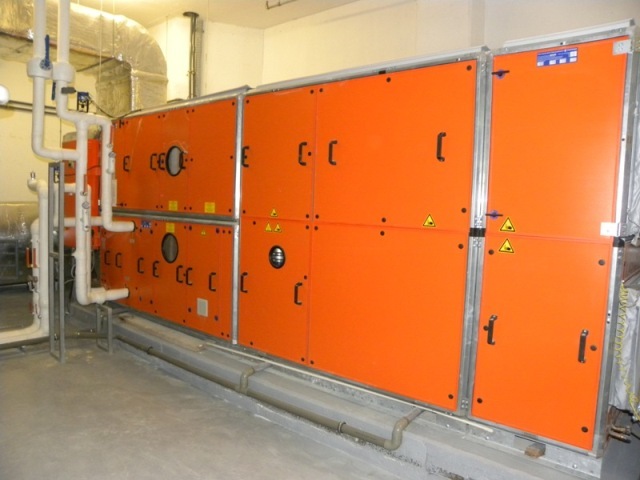 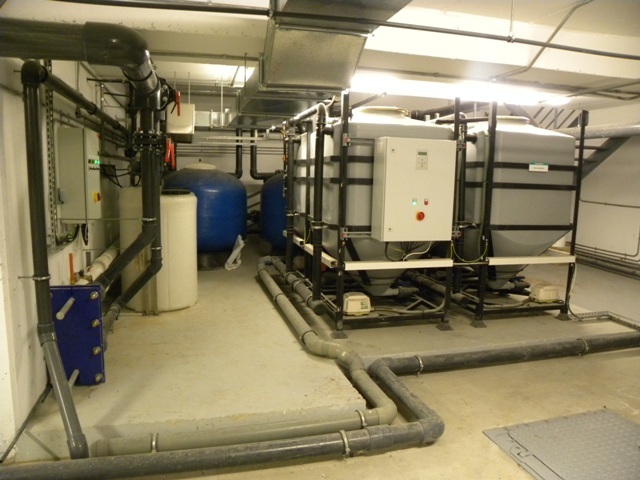 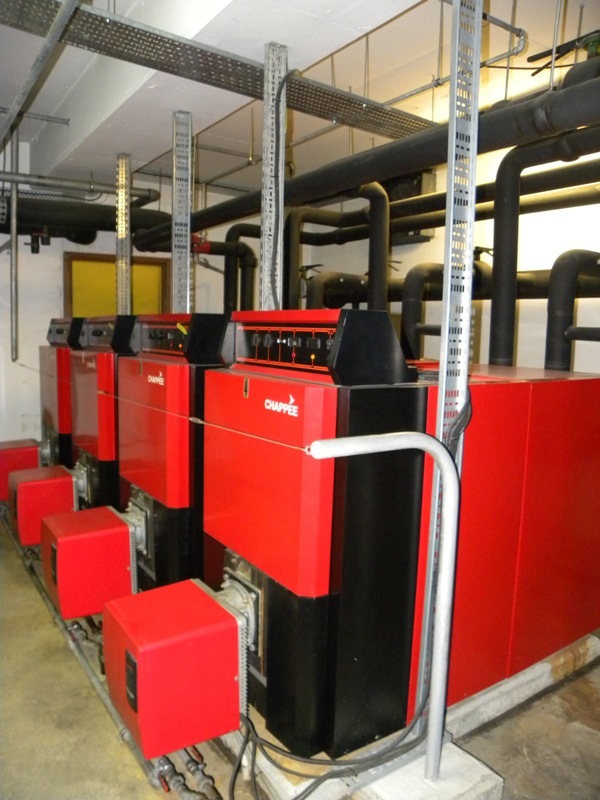 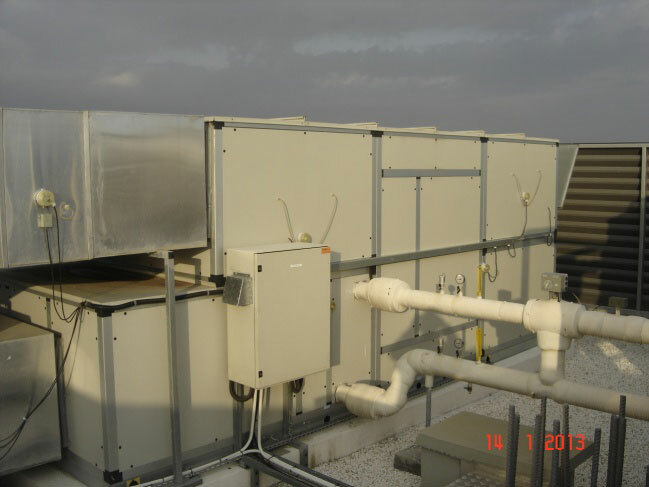 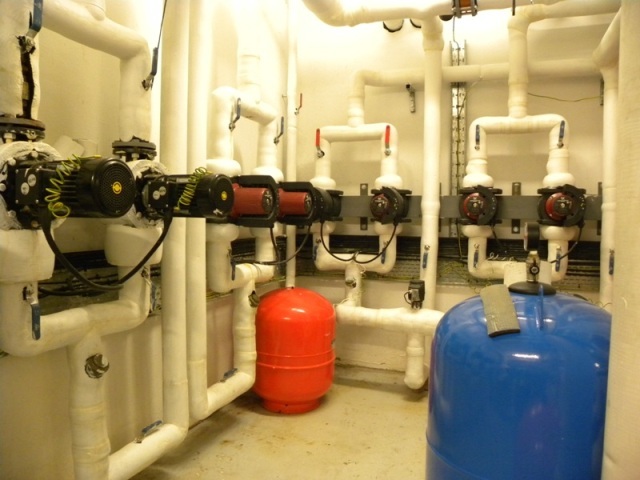 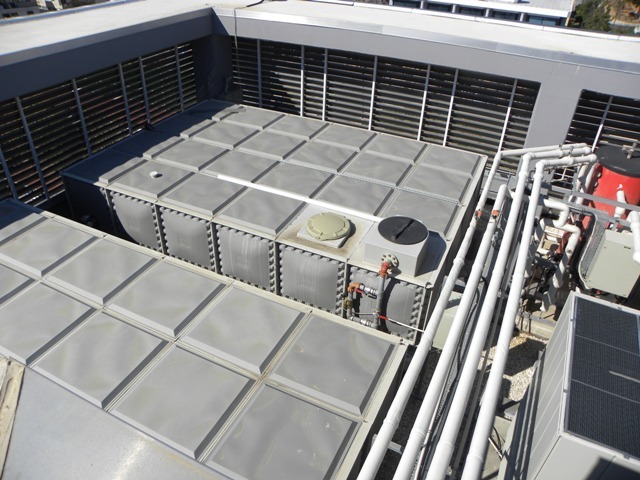 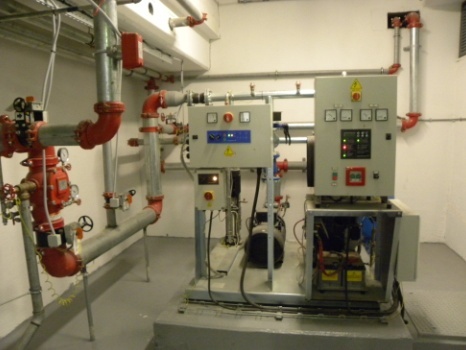 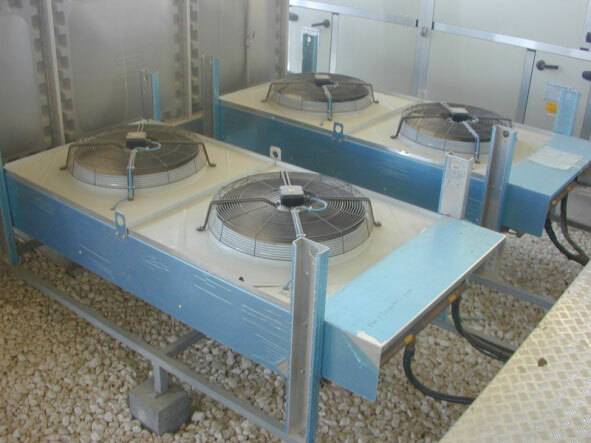 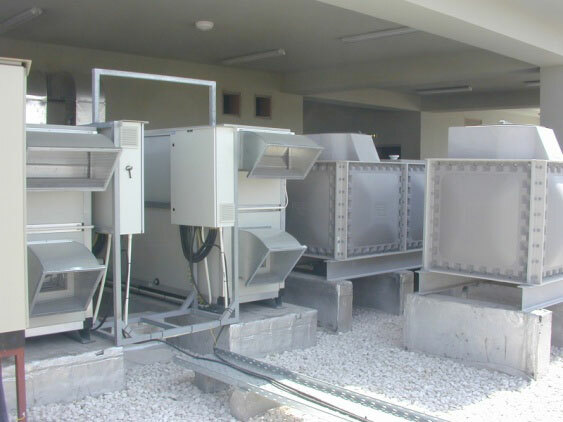 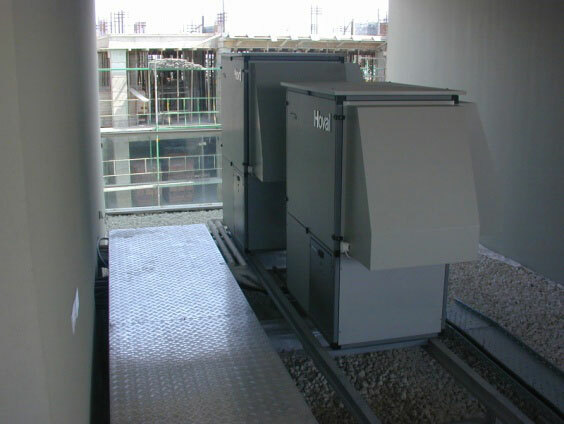 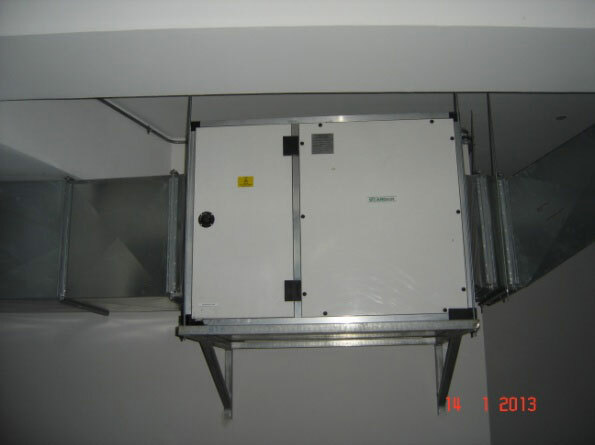 Air Handling Units provide fresh air into the building and condition common areas. 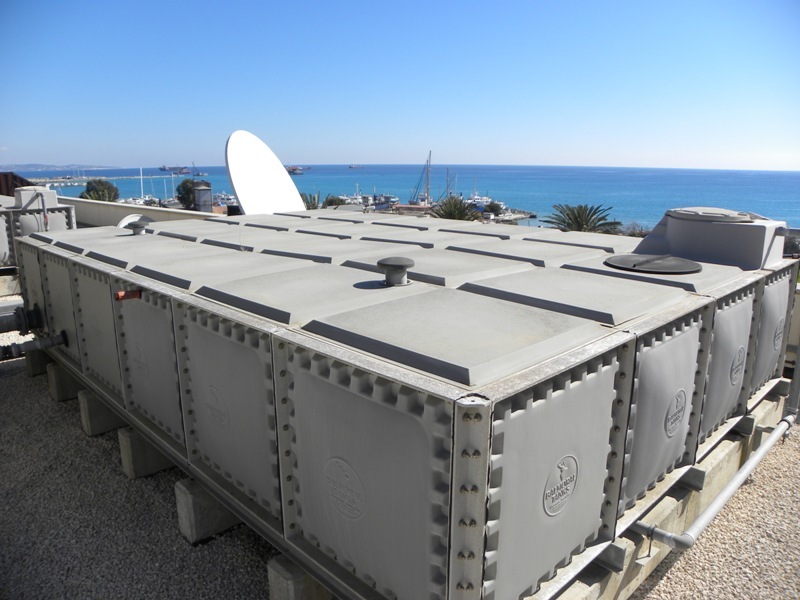 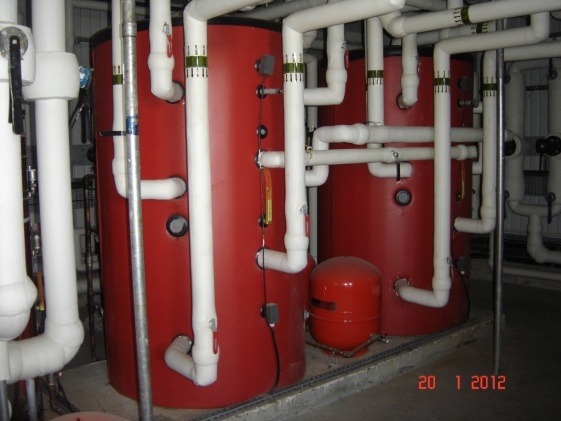 Cold Water is stored in Glass Reinforced Plastic type (GRP) sectional tanks and distributed through an inverter type booster set. 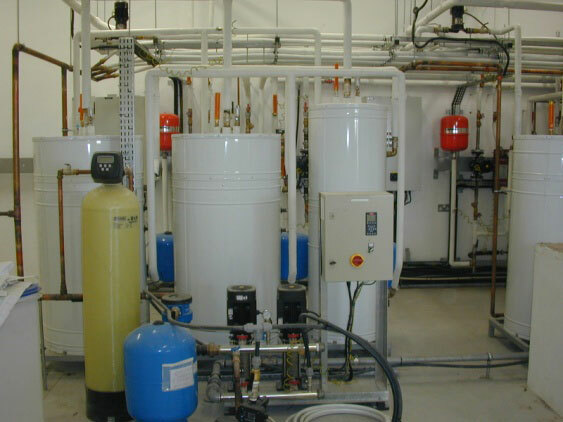 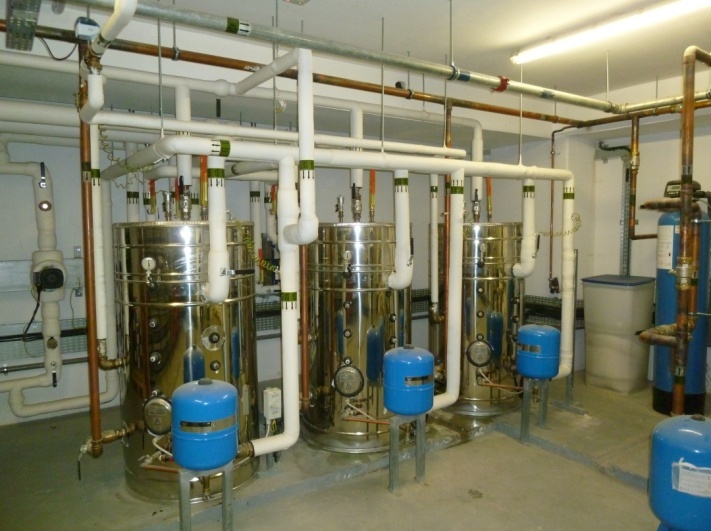 Hot water is produced using local electric heaters.